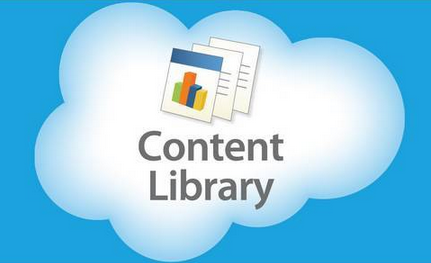 Library is a great feature in Salesforce.com to publish and share official corporate files with co-workers. You can upload any type of files for up to size of 2 GB for each file. 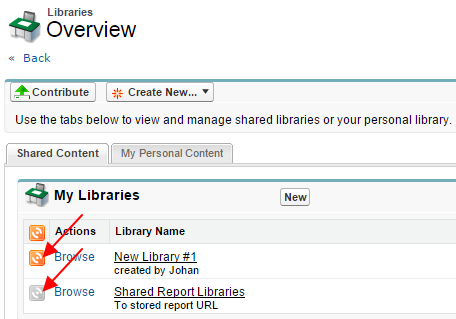 To access library, simple click Libraries tab, if you not see it, click + tab at the most of the tabs. You are not a licensed Salesforce CRM Content user. You do not have the level of access necessary to perform the operation you requested. Please contact the owner of the record or your administrator if access is necessary." 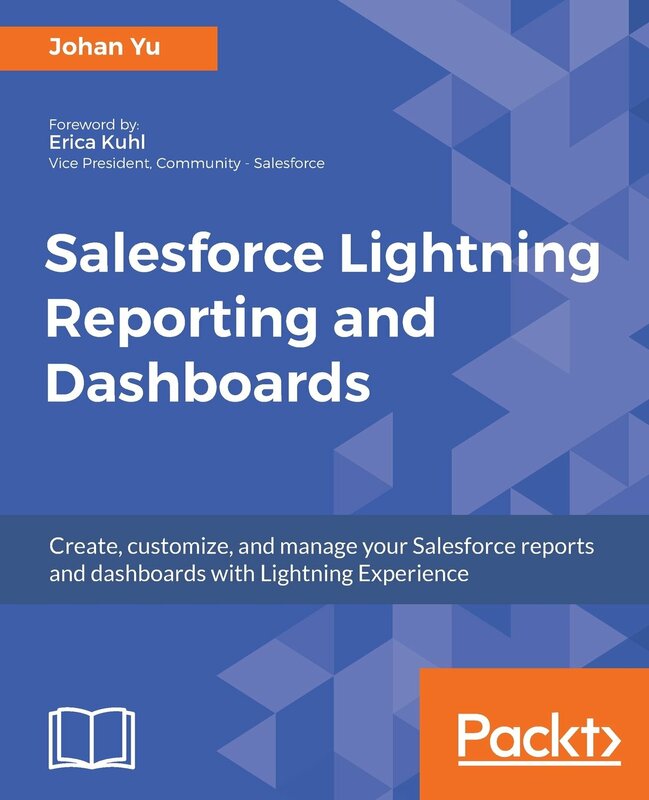 Tips: if you are system admin and would like to enable this to ALL of your users, go to Setup | Customize | Salesforce Files | Settings | Salesforce CRM Content, make sure Enable Salesforce CRM Content is ticked to enable Library feature, and tick Autoassign feature licenses to existing and new users to enable all existing and new user created auto enable with Content Library permission. Only user with Create Libraries or Manage Salesforce CRM Content permission defined in the Profile or Permission Set able to create new library. 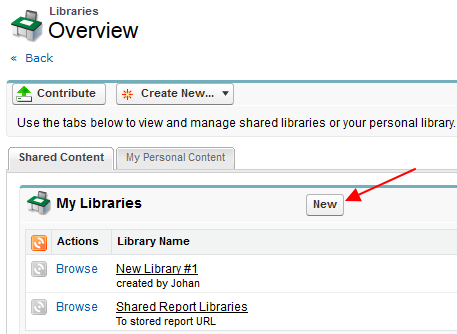 When this permission enabled for particular user, user will see New button in My Libraries section. If you subscribe to a file, you are notified when a viewer adds comments to the file or when a new version of the file is published. If you subscribe to a Web link or Google doc, you are notified when comments are added but not when the link is changed or the doc is edited. If you subscribe to a content pack, you are notified when a new version of the pack is published. Unless you are subscribed to the individual files within a content pack, you are not notified when new versions of the files are published. If you subscribe to a tag, you are notified of any newly published content that is associated to the subscribed tag. To be notified that new versions of the tagged content are available, subscribe to the content. If you subscribe to an author, you are notified when the author publishes new content. To be notified that new versions of an author's content are available, subscribe to the content. If you subscribe to a library, you are notified when new content is added to the library, including existing content that has been newly linked to your subscribed library. To be notified that new versions of the library content are available, subscribe to the content. If you see Subscribe icon in orange, that mean you have subscribe to that content, if the icon grey, click it to subscribe. Sample of screenshot for Library subscribed and not subscribed. 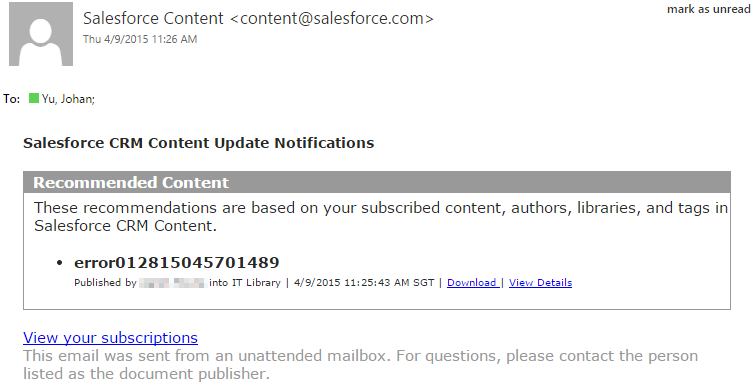 Make sure Receive Salesforce CRM Content Email Alerts is tick. Also check if you have Receive Salesforce CRM Content Alerts as Daily Digest ticked, if yes, you will just receive email once a day, so do not expect to get an email immediately when someone upload a file to the library you subscribe to. When false, a user with Salesforce CRM Content subscriptions will receive a once daily email summary if activity occurs on his or her subscribed content, libraries, tags, or authors. To receive email, the UserPreferencesContentNoEmail field must also be false. The default value is false. This field is for label "Receive Salesforce CRM Content Alerts as Daily Digest"
When false, a user with Salesforce CRM Content subscriptions will receive email notifications if activity occurs on his or her subscribed content, libraries, tags, or authors. To receive real-time email alerts, set this field to false and set the UserPreferencesContentEmailAsAndWhen field to true. The default value is false. This field is for label "Receive Salesforce CRM Content Email Alerts"
Indicates whether the user is allocated one Salesforce CRM Content User License (true) or not (false). 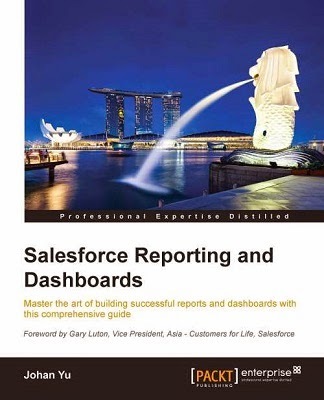 Label is Salesforce CRM Content User. The Salesforce CRM Content User license grants the user access to the Salesforce CRM Content application. This field is for label "Salesforce CRM Content User", do not need to worry this one if you have enable "Autoassign feature licenses to existing and new users" explained above. Daily digest is on - user will receive email notification for all Contents subscribed once a day. Daily digest is off - user receive email notification for every changes on the Content subscribed.